Simply the best! A combination of vanilla, almond and butter with a citrus twist. Our keylime cake is a spin on American's favorite pie. Filled with cream cheese icing and bits of graham cracker crust. Homemade chocolate cake infused with coffee and filed with milk chocolate frosting. Our chocolate frosting pairs perfectly with our wedding vanilla cake. Our classic sour cream almond cake with almond buttercream frosting. Old fashioned banana cake made with ripe bananas and filled with caramel buttercream or cream cheese frosting. Our version of the orangesicle. Orange cake infused with orange flavor and orange juice and filled with orange cream cheese frosting. Moist strawberry cake filled with strawberry buttercream. White chocolate cake filled with a light layer of buttercream and filled with a raspberry compote. 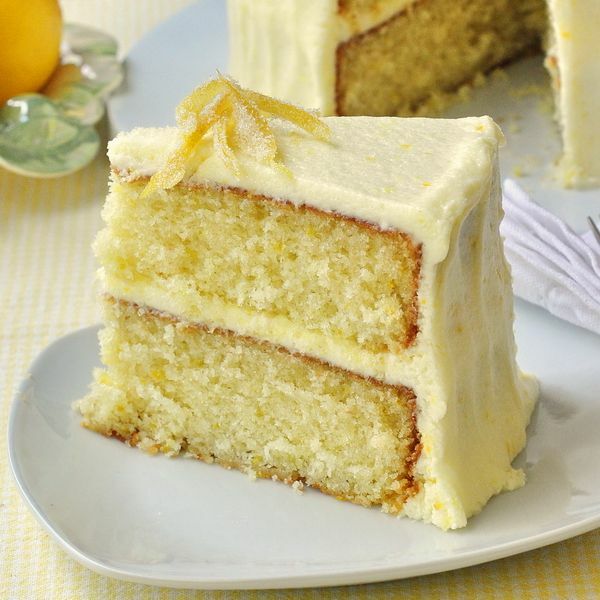 Most lemon cake paired with lemon buttercream or lemon cream cheese icing. 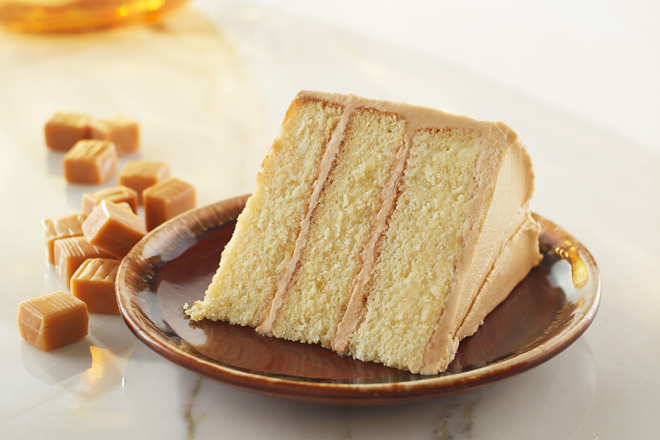 Homemade vanilla cake made with brown sugar and filled caramel buttercream frosting.